Esiot Sandals by Irene Sioti. For over 25000 years, shoes have been in our life and have influenced the course of human history. Early humans wore a form of shoe that eased their passage on the landmass of Eurasia. Romans, in their heavy caligae sandals, were able to expand the Empire. Sandals in general were the most common footwear in all early civilisations. ESIOT™ sandals are a combination of The Gladiator sandals that were worn in the arena by the gladiators, the Creepers mostly worn by soldiers based in the deserts, in North Africa, in World War II and the Espadrilles, firstly worn by the catalano-aragonese military soldiers. Irene’s passion for modern fashion, made possible the combination of 25 centuries of history into a single shoe, giving birth to ESIOT™ sandals that are characterised by their minimal, dynamic lines. 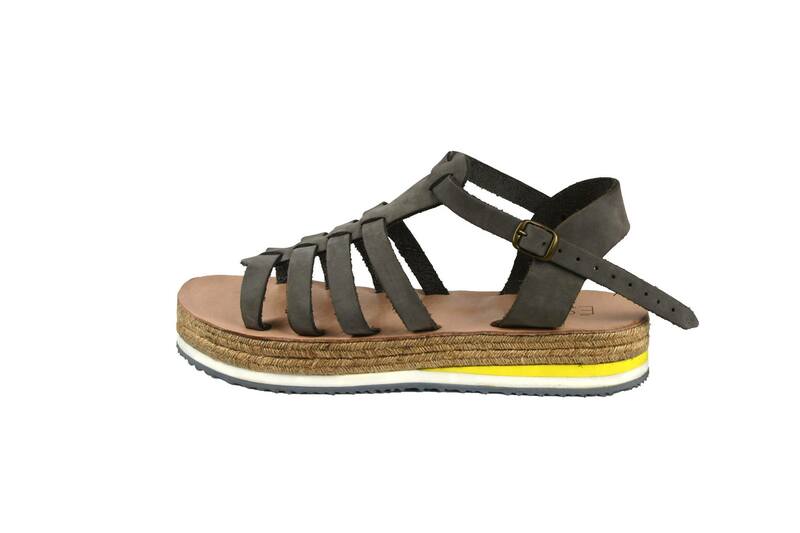 These are premium handmade sandals designed by Irene Sioti. 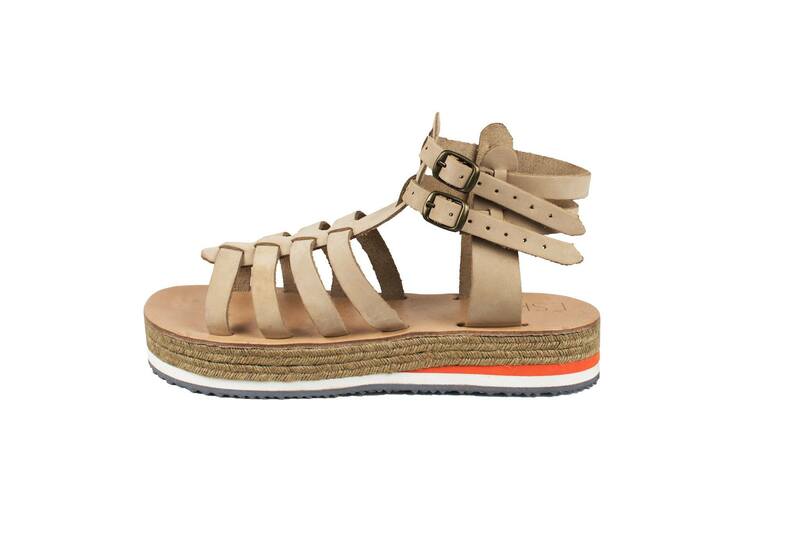 Manufactured in Greece by local craftsmen, with 100% leather, high-quality VIBRAM® sole and colourful anatomical gels. Born in Athens and raised in Tinos Island, Irene Sioti has a BA (Hons) in Statistics and Insurance Science from University of Piraeus and she is a graduate from Veloudakis Fashion School in the Fashion Design Department. In 2013 she won the National Competition for Greek Young Designers of FEA, earning a scholarship from Studio Nafa in Toronto, Canada. In the last two years she is working alongside Dimitris Petrou and simultaneously designing her own capsule collection.